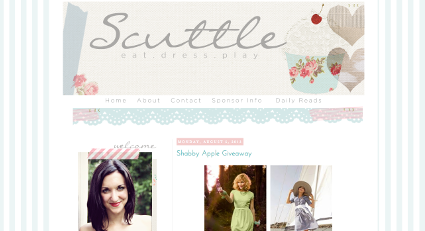 Welcome to Scuttle v 2.0! 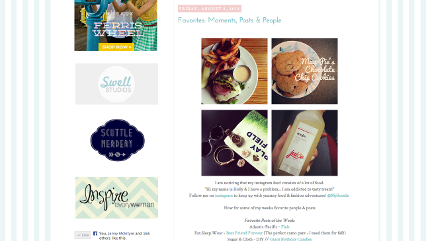 I have been working the with creative genius Savannah over at Maiedae and she gave my little piece of cyber real-estate a makeover! I loved my old layout but it was time for something fresh and new. I told her I still wanted color but I wanted it to look more sleek and editorial with a bit of sparkle thrown in. I am so happy with the outcome! She is brilliant. If you are looking for a creative genius to help with your blog, business cards, photography or more make sure you check out Maiedae. I have some last final details to do on my end, but for the most part this is the finished product. Au revoir old layout! You did me proud.